Hemco’s industrial steel framed Adjustable and Standard sized Safety Gates provide openings and access points with protection and easy accessibility for loading and unloading operations. Designed to self-close the Hemco Safety Gate provides each vulnerable access point with the up-most security and assures safety for all those passing by. BUILT FOR SAFETY, ENGINEERED FOR A LIFETIME. 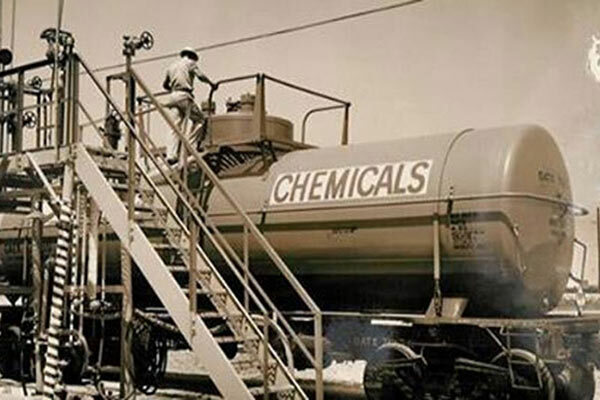 Since 1956 Hemco Industries has been a leading manufacturer of world-class gangways, loading racks and fall protection products for rail cars, tanker trucks, and other applications. Designed to deliver easy access and provide personnel safety, our diverse product line can handle all of your bulk loading and unloading needs. We consider ourselves first to be an Engineering firm that solves customer problems, who also happens to have a 25,000 square foot manufacturing facility. We don’t just sell a boxed product, we sell solutions. The Hemco Titan and Self-Adjusting Stair Gangways are designed with the maneuverability required for safe and efficient modern day loading, unloading, and sampling operations. Hemco loading racks are designed to withstand heavy loads and provide safe and effi­cient access in any situation that your operations require. Hemco’s industrial steel framed Adjustable and Standard sized Safety Gates provide openings and access points with protection and easy accessibility for loading and unloading operations. Our loading ramps are manufactured with carbon steel and includes open bar grating, serrated for slip-resistant footing. We use carbon steel in our designs, and for good reason. Hemco has products delivered to customers in the mid-1960’s that are still in use today. This type of product longevity and durability would not be possible using aluminum. Due to the critical safety nature of our product applications, combined with the industrial weight and moment loads that our products experience, carbon steel is clearly the superior choice. Today, Hemco continues to provide access solutions to such companies as Exxon/Mobil, Conoco, DOW Chemical, DuPont, Union Pacific, and more. We offer both standard products and custom fabrication for the most complex bulk loading applications. Our company’s experienced product specialists and engineering staff are ready to provide safe solutions, competitive pricing, and superior post-sales service for any application you may have. Hemco's production of high-quality gangways, loading ramps, loading racks, fall protection and loading systems, came from humble beginnings. In 1956, Hemco began armed with only an idea and a design for a product that would get people to the tops of vehicles safer and easier.